If you are using a 16GB iPhone or an Android phone with a smaller internal storage then it becomes importance for you to think before you install any application on your smartphone. Then too, there are some applications which we must have if we have a Smartphone and Facebook Messenger is one of such apps. Even if you have the Facebook app on your phone, you still need the messenger app if you want to message your contacts on Facebook. This can become a major problem if you’re running low on storage since both apps are quite bulky in size. 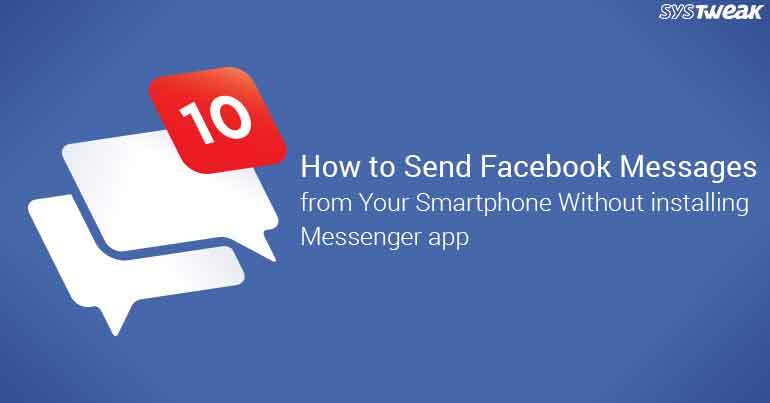 Hence it would be worthwhile for us to share some tips and tricks how you can message your Facebook friends on your smartphone without installing Facebook Messenger app. Read on and learn how you can do it. Open facebook.com on safari browser and login to your account and you will be on the home screen of your facebook page. Now tap on share icon given at the bottom. You will see options to copy/ print etc. scroll right to left and you will “Request desktop site” tap on it. Requesting desktop site will open facebook page same as you see it on your desktop or laptop. Now tap on messages icon given on the top right of facebook page. Tap on any conversation to start messaging. Messenger window will be open on your mobile without taking you to the app store. You can use pinch zoom to make your conversations readable. This is how you can chat any of your facebook friends or go through your messages without installing facebook messenger on your iPhone. Procedure is more or less similar for Android users. If you are using stock browser on your Android device then you can tap on options to request desktop website. If you have Google chrome installed on your Android device then you can access options by tapping on three dots given at the top right and then you will find a checkbox to request desktop site. On the desktop version of facebook.com you will be able access your messages without installing messenger app. This is how you can save space for your photographs or for some of your favorite songs on your Smartphone. Use inbuilt browser on your device and easily send facebook messages to your friends.